Traveling can be a fun and new experience, depending on where you end up going to. I have traveled quite a bit with my family, but have never really gone anywhere crazy; we usually end up at standard tourist destinations. One country that has always intrigued me -- which I have never visited before -- is Russia. Whether it is this history or the people or the pictures you see on the internet, the largest country in the world has some sort of strange attraction. If you look further into the map, a large part of Russia is made up of Siberia, a frozen wasteland, but even this part Russia is larger than Canada combined. Siberia is a truly unique place, and the coldest city in the world resides there, with an average temperature of -40 degrees Celsius in January. This region of Russia also houses the biggest unfrozen fresh water source in the world. Other big things Siberia has is the largest swamp in the world, the Great Vasyugan swamp, which is quite a bit bigger than Switzerland. Our review unit today is the SteelSeries Siberia 200 gaming headphones, which I do not believe was named with these characteristics of Siberia in mind, but they might help with the cold temperatures to keep your ears warm, haha. We then set out to look for other characteristics in headphones, such as the sound quality, and how comfortable they are. Coming in at $70 USD at press time, will the SteelSeries Siberia 200 perform better than expected? Read on to find out! 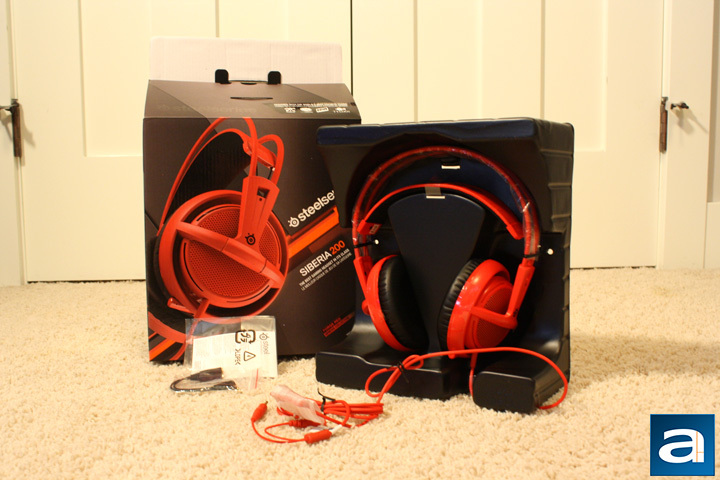 The SteelSeries Siberia 200 arrived in a medium sized, brown corrugated box along with the SteelSeries Rival 100 we recently looked at. The package was shipped from Chicago, Illinois, and arrived in good condition via UPS Standard to the APH Networks offices here in Calgary, Alberta, Canada. After the pictures were taken, the box was opened up, so we can have a look inside. 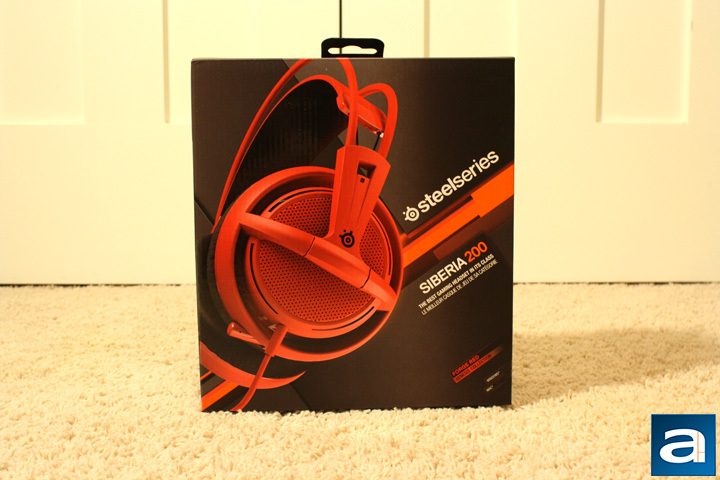 The SteelSeries Siberia 200 arrived in a medium sized retail package. I found the outside look of the box to be very clean and simple. The different shades of grey gave it a steel type of look, which is appropriate considering the "Steel" in SteelSeries' name. There are many different colors available to choose from, but we received the Forge Red version, which is advertised at the bottom right of the front. Below that, it informs us it can be used for Windows or Mac. On the middle right is the SteelSeries branding and the model name. The left and right sides of the box just have close up pictures of different parts of the product. The back of the retail package has all the different features, such as the lightweight design, and the in-line controls, while the bottom flap features the technical specifications. After opening the box, the packaging inside is very simple, but still enough to keep the headset safe during transportation. The entire headset is strapped into a mold to hold it in place. Almost all of the plastic parts is covered in film to keep them safe from any scratches. It took quite a while to take all the plastic off, but it was worth the safety it offered. There was a quick start guide included, as well as a connector to use with your phone or digital audio player. I thought the packaging was sufficient to keep everything in place, and to ensure everything was safe.